The other sections of my gear guide are filled with products from a variety of different manufacturers, but that’s not the case with this one. You’ll notice that nearly all the products on this page come from the American company, Really Right Stuff. I want to make it absolutely clear that I am not associated with the company in any way. Quite simply, I’m just a huge fan – their products are reliable, robust and refined. Yes they are a little more expensive than some other options, but the last thing I want is to be let down at a critical moment by a small piece of gear like a ballhead or flash clamp. Whilst I’m not a particularly tall person, I really like having the “L” version of the TVC-24 tripod. In most situations it means that I actually only need to use 3 of the 4 sections at any one time when the ground is relatively level, but it gives me an extra 4th section to use when the ground is sloping and I need an extra long downhill leg. I can keep the camera at eye level with this setup, even on a steep slope. For a long time I used the TVC-33s, but I found it was much too short and I was constantly stooping over to look through the viewfinder. Since moving to the 2-series tripod from the 3-series, I really haven’t noticed any difference in stability, but now I have a much more comfortable setup. The load capacity is a whopping 40lbs, so even the heaviest super telephoto and pro body combination doesn’t even come close to half the capacity! The downside to the TVC-24L is the longer (23″) collapsed length which does make it a little harder to pack into a suitcase. I solved this by switching to the Osprey Shuttle roller when I travel, which comfortably fits this tripod, even when it’s inside the optional RRS padded carrying case. The TFC-14 is an ultralight travel tripod that’s still able to hold a 25lb payload, and collapses to just 44cm in length. On top of that short collapsed length, it also takes up very little volume as it doesn’t have a centre column. This makes it ideal for situations where you might actually want to put a tripod inside a bag, such as carry-on luggage, or hiking in snowy/wet conditions. I used to use the TQC-14 for this purpose, but the newer TFC-14 takes up about 25% less volume, and weights 11% less. 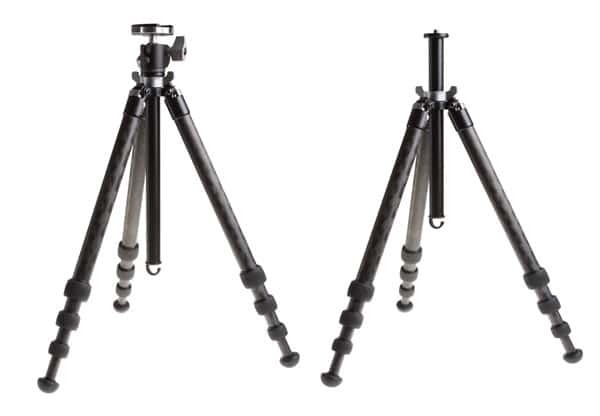 The main consideration with this tripod is the maximum extended height of just 121cm. That’s quite short, even for someone of average height like myself. If you really like working with a camera at eye-level then this isn’t going to be the tripod for you. However, I find myself using the tripod low to the ground all the time, or using liveview on the camera, hence making viewfinder viewing unnecessary anyway. The ultralight TFC-14 is a brilliant companion to a larger, heavier, taler tripod tripod. For most people, I don’t think it’s the perfect tripod if you can only have one, but it is a perfect ultralight companion to something bigger. If I could only have one ballhead, this would definitely be it. I’ve used it for 8 years now and it had been absolutely bomb proof, even in severe weather. It’s perfectly capable of supporting the biggest Canon setup I can think of (1D series camera with 600mm lens), and the size of it is remarkable when you consider the huge 18lb capacity. Yes there is a BH-55 that sits above it in the lineup, but I just can’t think of one time when I would have needed it, and it’s vastly heavier than the BH-40. The BH-40 is designed as the perfect pairing to the RRS 2-series tripod, but there’s absolutely no reason why you can’t use it with a 3-series pod as well. I did this while owning a TVC-33S for some years. Currently I have the optional 40mm dovetail plate on the bottom of it so that I can quickly switch between ballhead and gimbal on the top of my TVC-24L. The BH-30 is the perfect size for the TQC-14 tripod. I’ve happily used it with setups as large as my Canon 400mm f/4 DO II. Much like the BH-40, it supports much more weight that its diminutive size would suggest. The real difference between the two is that there is no drag adjustment on the smaller BH-30. Personally I rarely use the drag adjust anyway, so it hasn’t ever concerned me. Thinking in terms of the whole RRS ecosystem, the other difference is that they do not make a dovetail plate for the bottom of the BH-30, as they do with the BH-40. This means that the BH-30 has to be threaded onto a tripod in the normal fashion, so it isn’t as suitable for usage on a tripod where you want to continuously swap heads as I do with the BH-40 on the TVC-24L when I’m switching to a gimbal head all the time. 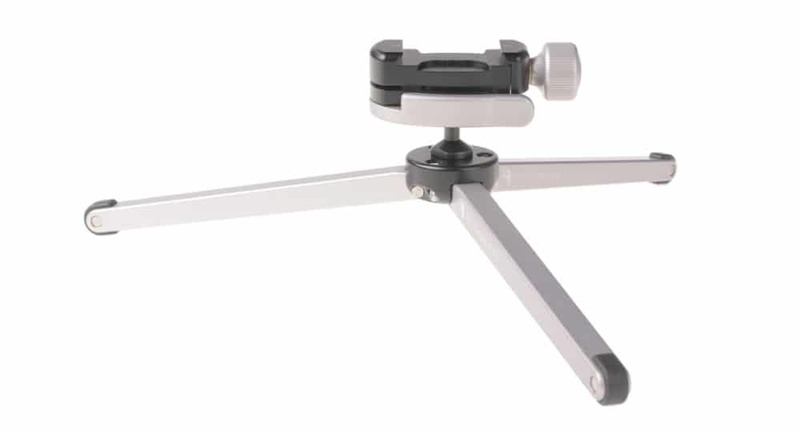 Another thing to note is that for perfect usage on a TQC-14 tripod, you need a ballhead with a base diameter that will fit between the “wings” of the centre columns locking system. In this regard, the BH-30 was designed for this purpose so it’s the perfect fit – larger ballheads might not work so well. Choosing between a BH-30 and BH-40? Check out this video I created a few years ago comparing the two. The BC-18 Microball is a pretty unique little device. It only has one control to it, a lever which releases the grip on the small ballhead, and movement is limited to about 45 degrees in every direction, not 90 degrees like a regular ballhead. Whilst this might seem like a crippling omission, many RRS users use l-brackets on their cameras anyway, so the 90 degree notches go unused. With an L-brakcet on your camera, the range of movement provided by the Microball is very useable considering its tiny size. For some reason RRS do not state a load capacity for this head, mere calling it “robust”, but I can tell you that this thing locks solid with a 5D and a 24-70 f/2.8. 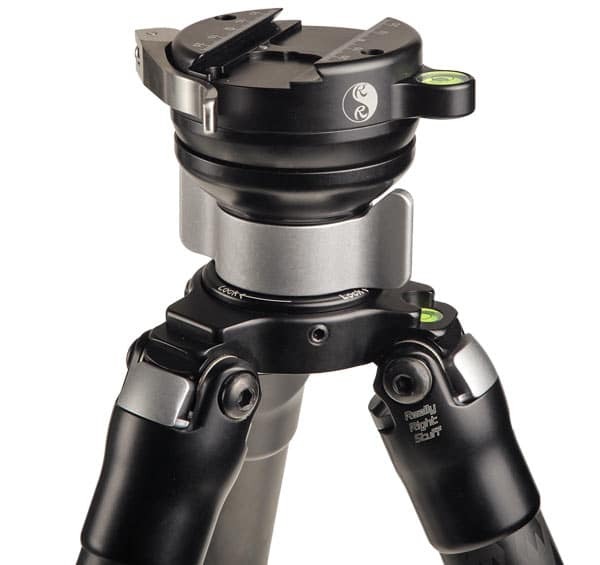 It shows much less creep than the BH-25 ballhead, and pairs perfectly with the Travel Clamp or TFA-01 table tripod. At only 100g, it’s the kind of thing you can keep in your bag all the time for emergencies and I’m always finding interesting ways to use mine. One great example is attaching it to the threaded top of my PG-02 gimbal to hold a GoPro whilst shooting wildlife. This is one of my all time favourite photo gadgets! 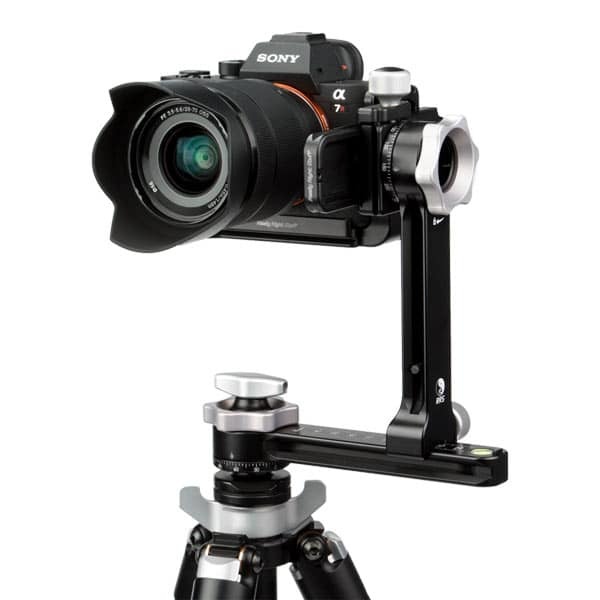 The PG-02 is a full gimbal or multi-row panoramic head that is available in a variety of different configurations. I use the simple version pictured above, because it breaks down into only two pieces which makes it great for travel. The side-mount looks a bit unconventional when you hang a $10,000+ lens off it, but I have the utmost faith in the clamps, and the strength of the lens foot. I regularly use mine with a Canon 200-400 f/4 which is one of the heaviest super telephoto lenses. 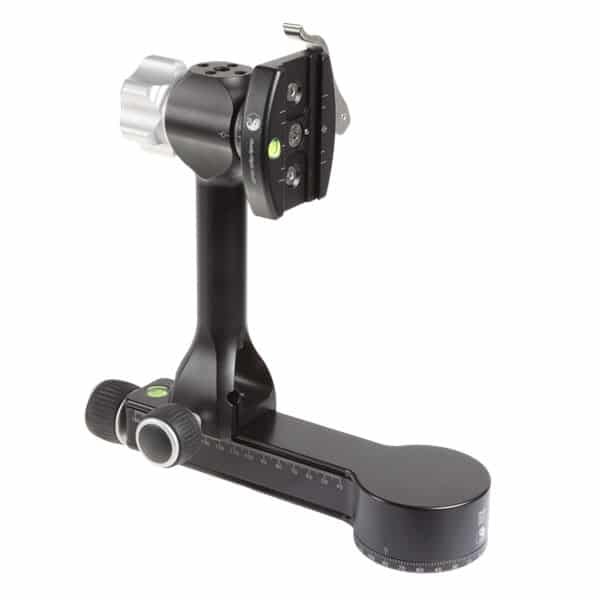 A gimbal head like this has two primary uses: The first is as a gimbal for long lenses and the second is for shooting multi-row panoramas with any lens, or even spherical 360 images. When you use it as a gimbal for a long lens, as I primarily do, you balance the camera and lens combination so that it rests perfectly in position even when you take your hands off it. At this perfect balance point, you can swing the camera around in any direction effortlessly. 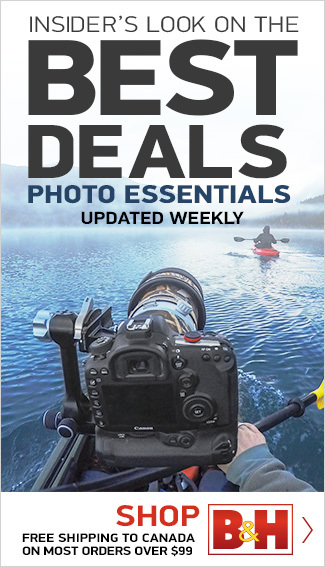 For me, it’s an absolute must-have item with any super telephoto lens for wildlife photography. It makes tracking animals much easier, and it means you can do it all day long with little fatigue. When using this setup as a panoramic head, one more rail is required to control the fore/aft movement of the camera, at which point you can use this to shoot panoramas with as many rows as you want, or you can use it to shoot a single row pano there the horizon is off-centre. RRS have a ton of tutorials on this stuff on their site if any of this sounds totally alien to you! What I love about the PG-02 is that it serves many purposes. You can even use it in place of a regular ballhead if you want to, so when I want to travel as light as possible, but shoot both wildlife and landscapes, this is the only head I really need. In some ways this is the baby brother to the PG-02, but this one isn’t really designed to be a gimbal head for larger lenses. The PG-01 is simply a smaller, modular panoramic head for multi-row panos. It’s designed with mirrorless cameras in mind, although I’ve also used it with a Canon 5D and it works with that weight as well, not perfectly, but passably. It’s a really neat little package and it pairs very nicely with the TQC-14 or TFC-14 tripod. It’s definitely usable in place of a ballhead, so if you want to travel light, there’s no need to take both. RRS make a ton of different variations on he flash ring, so make sure you get one that is suitable for your lens. I use mine with Canon’s big Super Telephoto lenses so the large one is required. The reason for having something like this in my wildlife photography kit is so that the flash remains in the same place, even when I’m rotating the camera from horizontal to vertical orientation. Since my primary use is with a single flash, and far away subjects, I just have the simply flash camp on my one. RRS also make an articulating flash clamp which is more suitable if you’re using the flash ring with close-up macro subjects. 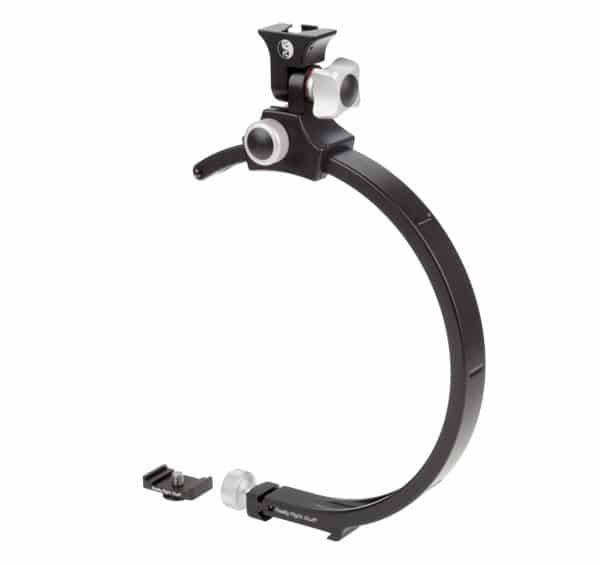 In fact, you can put multiple clamps into the same ring so that you can light your subject from several different angles, particularly when combined with the options extension arms. I have to say that out of all the items I have from RRS, this is perhaps the one which I would consider to be more of a luxury. I can definitely still shoot wildlife with a flash without this ring, and many people do, but I love the added convenience of this setup. Should I find myself in a weight constricted situation though, this would be the first item I’d take out of my bag. For general purpose landscape photography a levelling head isn’t really necessary, you can use a ballhead to level your camera pretty quickly. When you use a gimbal or a panoramic head though, you don’t have the ballhead, but a perfectly level tripod is an absolute necessity. Endlessly tweaking all your tripod leg lengths gets old pretty quickly, so a levelling head is the way to go. This allows you to create a perfect level platform in just a couple of seconds so that when you rotate your gimbal or pano head, the camera doesn’t diverge from the centre line. Without it your panos would have wonky horizons, or you’d lose track of the animal you are chasing as your view moves vertically whilst you rotate when tracking it. 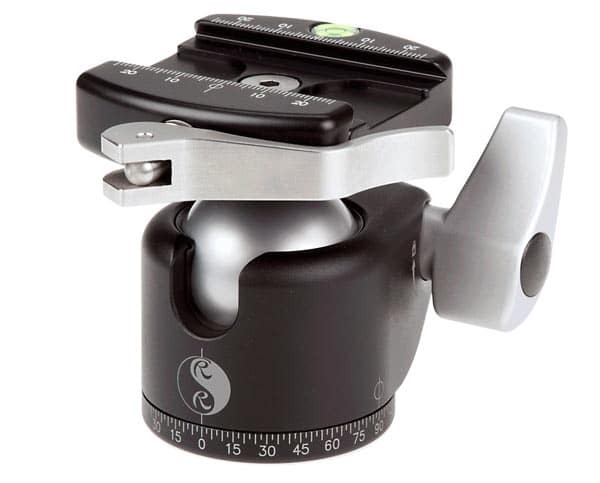 I’d say it’s a must-have item for long lens gimbal users, and a very good idea for regular pano shooters. Macro rails are useful if you are focus stacking your images. Take a shot, turn the screw to move the camera incrementally forwards or backwards, then take your next shot. Repeat the process until you have enough images to create a focus stack in Photoshop! The B-150B ships with a nice neoprene pouch which is something I really wish RRS would do with their Gimbal heads as well. L-Bracket on my camera – This is an L-shaped bracket that joins perfectly with my camera so that I can clamp it into a ballhead in either the vertical or horizontal position. Once you’ve tried one of these, you never go back to the old way of using the 90 degree drop nothces on the ballhead. I also love the protection it gives the camera on the bottom so my camera resale value is maintained even when I put it on the ground all the time. Replacement telephoto feet – RRS make replacement feet for many larger lenses so that the Arc-Swiss rail is built right into the foot. I have them on my 100-400, 200-400 and my 400mm f/4 DO II. They are lighter and less bulky than using the manufacturer foot with a regular plate screwed onto it, and just like the L-bracket, it also protects my investment a little bit as the foot is usually where the first damage occurs on a lens. 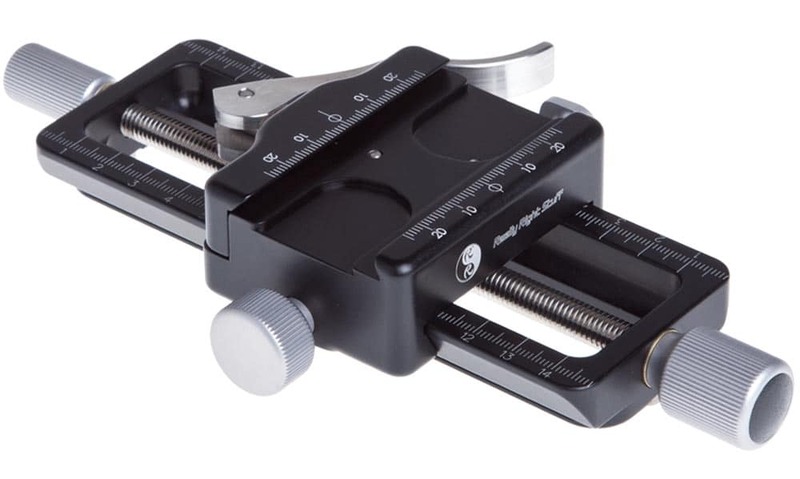 RRS Multitool – A special tool that gives you all necessary tips to tighten and maintain your tripod and support gear. Most of it is pretty standard, so this tool is useful even if you use tripods from other manufacturers. 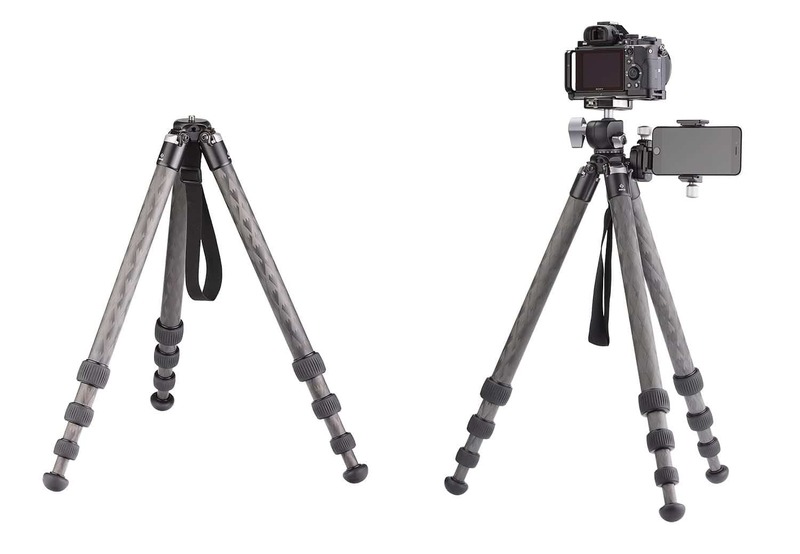 A pocket tripod that can actually support the weight of a professional camera setup! I’ve used this thing with a 5D and a 24-70 f/2.8 with no problems. I used to pair it with a BH-25 ballhead but the newer BC-18 Miroball is a much better option now. It’s lighter and also stronger! With so many places carrying the dreaded “No Tripods” sign these days, it’s great to have something discreet like this in your pocket. In my opinion, no travel photographer should be without this item. I do wish they made a sort of tubular neoprene case for it, but my solution is to use one of those material bags that sunglasses come in and that way its metal legs don’t scratch up my camera lenses and bodies when it’s in my bag. I used to use the regular TFA-01, but then RRS came out with this Ultra version, the black one. The Ultra is the same dimensions as the older silver version, but it has ratcheting leg stops that mean it can support much larger weights are a variety of leg angles. It’s only a few dollars more than the standard TFA-01, so frankly I can’t see why anyone would choose the older version anymore. My 2 cents. 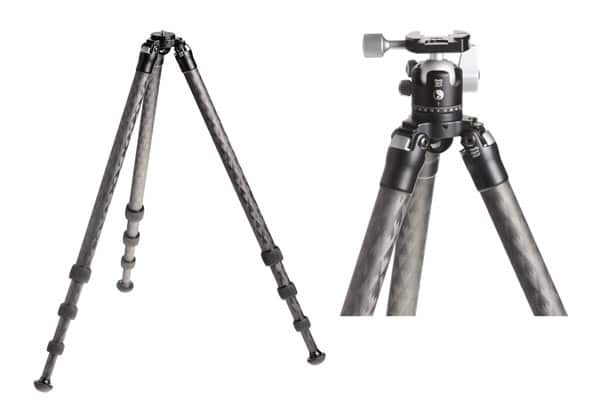 This was a workhorse of a pocket tripod for many years, but they have since added the TFA-01 Ultra tripod to the lineup, and for just a few dollars more, you get a MUCH sturdier tripod. 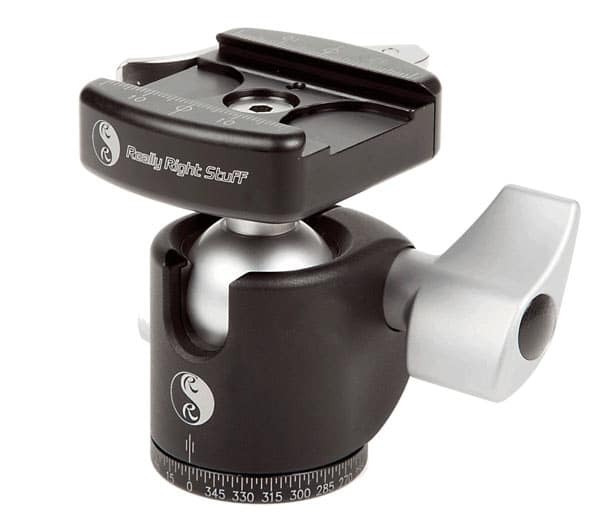 The Ultra version adds ratcheting leg stops, which means you can hold much larger weights at a variety of leg angles. I no longer recommend this regular version of the TFA-01, spend the extra money (it’s not much more) and get the Ultra version. You won’t regret it. The TQC-14 tripod was RRS’ first Series-1 4-section travel tripod and for about 6 years I used it all over the world as my general travel and hiking tripod. It’s amazingly strong for something so compact, and I trusted it with even the heaviest camera setups in my kit. It’s small enough that it even fitted inside some of my camera bags, which can come in handy during the winter season when you don’t want it to become encrusted with snow and ice. In 2016, RRS added the ultralight TFC-14 to their lineup and I replaced my TQC-14 with one of those. I had no complaints about the TQC-14 at all, but the TFC-14 is smaller and lighter, and since this tripod holds the role of my travel/hiking tripod, it makes more sense. When I need something taller and burlier, I have the TVC-24L. I’m lucky enough to be able to own two tripods, my ultralight TFC-14 and my much larger and heavier TVC-24L, but if I could only have one tripod, the TQC-14 would definitely be in the running. The added height of the centre column can certainly be useful, so I think it’s a brilliant general usage tripod for most people, and one I heartily recommend to people all the time. Whilst I do LOVE my TFC-14, I do think that for many people it’s not a tripod you could have as your only tripod, but it makes a brilliant companion to a larger tripod if you are lucky enough to be able to own two. hey! Thanks for being a subscriber, Andy. A gimbal is a device that sits on top of your tripod and perfectly balances your camera and lens combination, allowing you to pan and tilt it in any direction with almost zero effort. 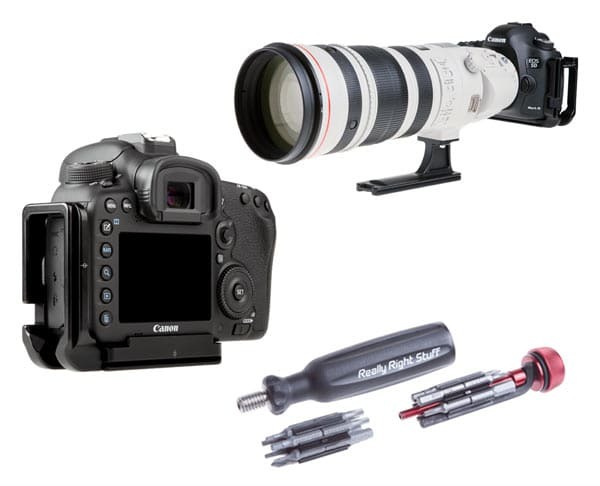 For wildlife photography with any lens of 4m or more, I would consider this an essential item. Ballheads are designed to be positioned and then locked for the photo but with wildlife you are often following your subject and a gimbal makes this a breeze. I’m looking at the RRS ball heads myself, for a Canon 5DMkIV. I’m encouraged to see that I should be able to save a bit of cash with the BH-40 instead of the BH-55, but I wonder if it’s really necessary to get their specialised plates for the camera and the 70-200 lens that I use? For me Sony a7ii I use a cheap 3rd party L plate. Workshop to perfection and had no issues. The larger one of those would work on the foot of your 70-200 for example. As for L-Brackets, the RRS ones are modular, have quick release slots in them and fancy features like a place to stash the hex key so you’re never without one in an emergency. If you can do without those features you might save a few $$. Thank you for providing all this insight into RRS products. One question — is it possible to use a ballhead instead of a dedicated leveling base to level PG-02? Especially for something like the RRS TA-2-LC Leveling Base, which is situated a few inches above the tripod Apex. Would a BH-40 or a BH-50 prove much taller / less stable for holding the PG-02? There is a new micro ballhead named bpc-16, looks quite similar to the old bc-18 but has more features (panning, 90 degree notch?removeble screw etc). The only concern is the capacity is rated much lower than the bc-18, have you tried this new one? Actually yes I have had it for a few months as they asked me to test it out. I will be posting some thoughts on the blog soon, I just shot the photos for it a couple of days ago. Yes it’s strong enough for that for horizontal pans but not vertical, but what you will find is that when you get it, it might not seem as though it has the strength. You will have to adjust the clamping force. Instructions on how to do this are included with the head. It takes a couple of minutes. Thank you very much for all your blog posts, especially the ones concerning reducing gear weight! I am embarking on a longer backpacking journey and therefore eagerly trying to reduce the weight of my pack, too. I will be bringing a 5DsR (including L-bracket) with a 24-105 II and a 100-400 II. I really want that panning function because I enjoy shooting panoramas and I always do horizontal panoramas. So my question is if that BPC-16 would hold the combination with the 100-400 II. According to it’s weight rating (5lbs) it wouldn’t. However, a reviewer at B&H stated that he thinks the weight rating is rather conservative. What are your thoughts on this? I couldn’t find your thoughts on it on the blog, but maybe I just missed it and you could point me in the right direction? No, the BPC-16 will not be good for the 100-400. It’s nowhere near as strong as the BP-18. In fact I don’t think it’s all that great with the 24-105 either.